Dryad is a curated, non-profit, general-purpose repository specifically for data underlying scientific and medical publications — mainly journal articles. As such, we place great importance on linking data packages to the articles with which they are associated, and we try our best to encourage authors and journals to link back to the Dryad data from the article, ideally in the form of a reference in the works cited section. (There’s still a long way to go in this latter effort; see this study from 2016 for evidence). Submission integration provides closer coordination between Dryad and journals throughout the publishing workflow, and simplifies the data submission process for authors. We’ve already implemented this free service with 120 journals. 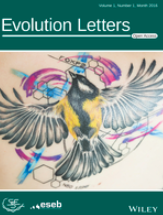 If you’re interested in integrating your journal, please contact us. We’re excited to share a few recent updates that are helping to make our data-article linkages more efficient, discoverable, and re-usable by other publishers/systems. One of the greatest housekeeping challenges for our curation team lies in finding out when the articles associated with Dryad data packages become available online. Once they do, we want to add the article citation and DOI link to our record as quickly as possible, and to release any data embargoes placed “until the article appears.” Historically, we’ve achieved this through a laborious patchwork of web searches, journal alert emails, and notifications from authors or editors themselves. But over the past year or so, we’ve built and refined a webapp that we call the APU (or Automated Publication Updater). This super-handy tool essentially compares data packages in the Dryad workflow with publication metadata available at Crossref. When a good match is found, it automatically updates article-related fields in the Dryad record, and then sends our curation team an email alert so they they can validate the match and finalize the record. The webapp can be easily run by curators as often as needed (usually a few times a week). While the APU doesn’t find everything, it has dramatically improved both efficiency with which we add article information and links to Dryad records — and our curators’ happiness levels. Big win. (If you’re interested in the technical details, you can find them on our wiki). 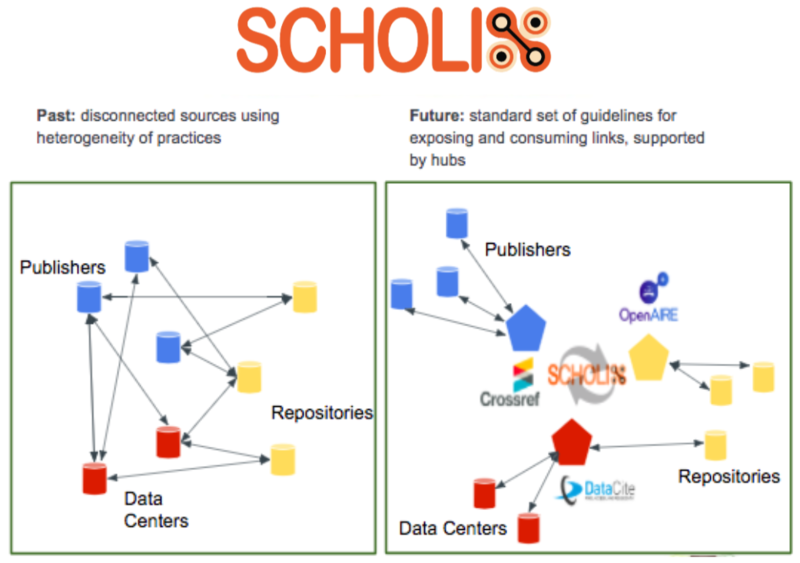 Dryad is also pleased to be a contributor to Scholix, or Scholarly Link Exchange, an initiative of the Research Data Alliance (RDA) and the World Data System (WDS). Scholix is a high-level interoperability framework for exchanging information about the links between scholarly literature and data. The problem: Many disconnected sources of scholarly output, with different practices including various persistent identifier (PID) systems, ways of referencing data, and timing of citing data. The Scholix solution: A standard set of guidelines for exposing and consuming data-article links, using a system of hubs. As a DataCite member repository, Dryad provides our data-publication links to DataCite, one of the Scholix Hubs. Those links are made available via Scholix aggregators such as the DLI service. Publishers can then query the DLI to find datasets related to their journal articles, and generate/display a link back to Dryad, driving web traffic to us, increasing data re-use, and facilitating research discovery. Crossref publishers, DataCite repositories/data centers, and institutional repositories can all participate — information on how is available on the Scholix website. Did you know that content in Dryad is available via a variety of APIs (Application Program Interfaces)? Details are available at the “Data Access” page on our wiki. Dryad is committed to values of openness, collaboration, standardization, seamless integration, reduction of duplication and effort, and increased visibility of research products (okay, data especially). The above examples are just some of the ways we’re working in this direction. If you’re part of an organization who shares these values, please contact us to find out how you can be part of Dryad.